NASA studies have confirmed that low-light houseplants can improve the quality of indoor air. NASA uses a variety of potted plants to filter out chemicals and carcinogens from their space stations. Use these low-light plants to purify your air and eliminate the smell of varnish, paint, glue, carpet, and detergents. NASA suggests “having 15 to 18 houseplants per 1800 square feet”. 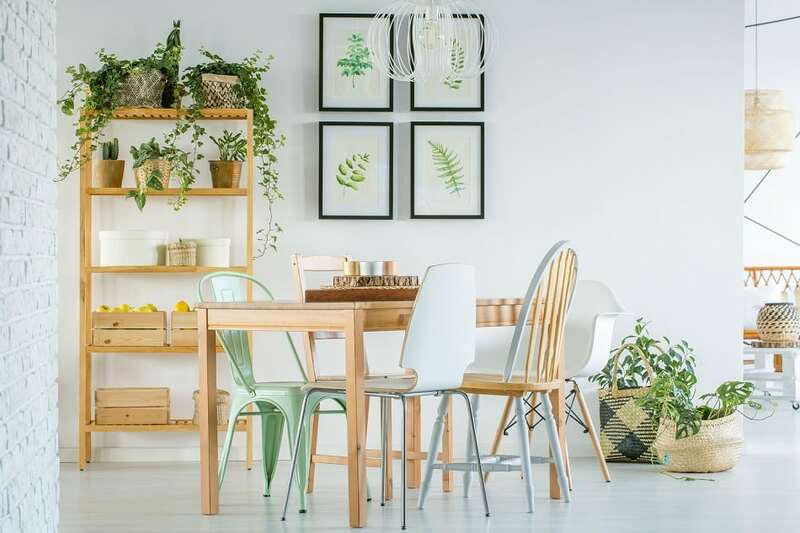 Recommended plants include English ivy, Spider plant, Pothos, Peace lily, Snake plant, Philodendron, Rubber plant, Areca Palm, Boston fern, or Aloe plant. Plants also add comfort and beauty to your home.